Well, the weekend has arrived quicker than expected, and in fact, time seems to be flying by at the moment. Today is a stark contrast to yesterday when I was in London with Raph, smart casual in jeans shirt and blazer I felt dapper as we walked the streets having fun and going to see people. Today I’m back in my paint-stained cargo pants and rowing hoody, on the riverbank working through a list of jobs on the boat. First, was to fit new batteries. 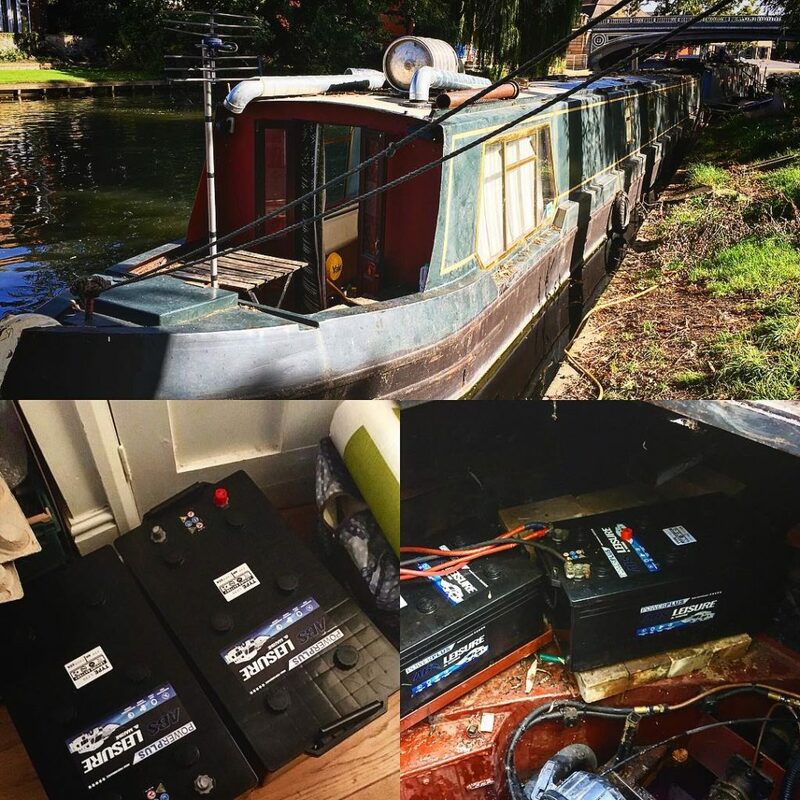 Three years ago I completely overhauled the power on the boat, rewired the 12-volt system and added a 240-volt down each side as well so I could charge laptops and have access to everyday items like coffee grinders and a hoover. Proof that off-grid living doesn’t have to be hard, in fact, I’m convinced it can be luxurious and that’s what I hoped to show in Eden. Anyway, two 230 amp batteries later the boat is back to full strength lecky and I’ve been testing it all day. The solar on the roof has meant that the charge has increased even though I’ve been running a few power tools from it. I also took the opportunity to give the engine bilges a quick pump out as the pump I’d fitted had decided to give up. I don’t know if this is due to the lack of power but I will monitor it and add it to a growing list of odd jobs to do! Next, my little side project. I’ve decided after the success of the rocket stove in Rafton Towers that I’m going to make a more permanent version on the boat. I took an angle grinder to the old stove, which is on its last legs in any case, and I’ve cut holes in a beer barrel that a friend kindly gave me. Before fitting the new one, I decided to give it a quick run outside to see if it worked (even though there are still gaping holes in the system everywhere) and you’ll be surprised to hear it was a partial success! I managed to get the flow of emissions going in the right direction, and with a bit of tinkering, I hope to get it working safely enough to risk fitting in the boat. Now I’m in wind-down mode, it’s been a fun day but I’m getting tired and restless. The boat is in a state as you would expect from all the work I’ve been doing on it, I’ve nowhere to sit down and relax so I’ve resorted to making cups of tea and coffee for the parents of the kids in the play area next to the boat. I feel I have to do this as I’ve been making a racket with the power tools all day and everyone wants to know what I’m up to. It’s just my little way of saying sorry and also a great excuse to stop work for a bit.